The epic tales of the ancient Dhakaani Empire are more than just stories. Complete the tests in the fourth adventure of the Across Eberron: Convergence Manifesto adventure path, optimized for 3rd level characters. Written for use with the Wayfinder's Guide to Eberron by Keith Baker. Will Brolley’s first exposure to Dungeons and Dragons was when he and his older sibling fooled around with the 1981 Basic Set. He began playing in earnest with 3.5, and has been DMing since the mid 2000s. 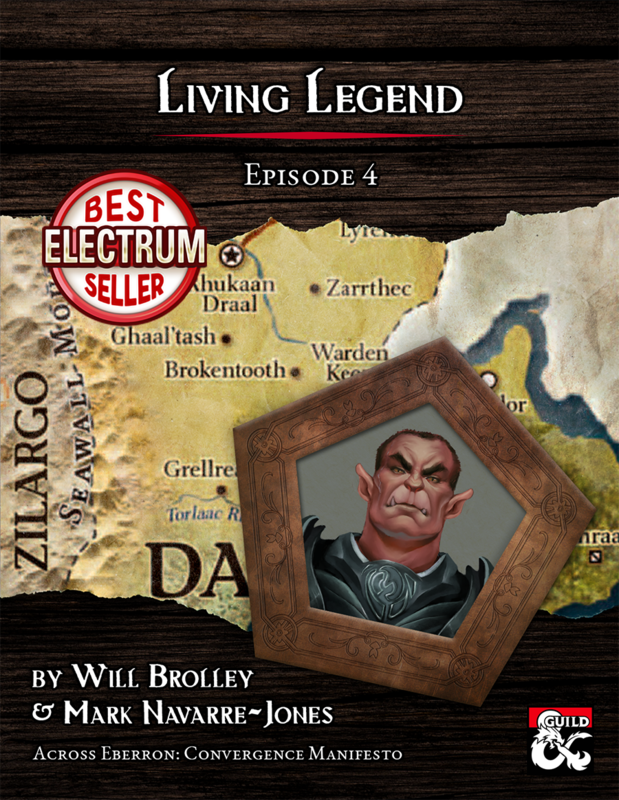 After discovering Eberron in 2009, he never ventured into the Forgotten Realms again. When not creating monsters and slaying players, he works in the healthcare industry and walks his dog all throughout the frozen, barren landscape of Canada. Mark Navarre-Jones is a chaplain and mental health professional with a bad Dungeons & Dragons habit. He lives in the Metro Atlanta area with his wife and three cats. Mark hosts a weekly Eberron game with his wife. He serves as DM to the group and often brings his real-world knowledge into his game experience, crafting stories that incorporate themes of moral ambiguity or social strife. In addition to his own game, he and his wife often spend time playing D&D or board games with nearby friends.